The Family Solutions Home-Based Family Services Program provides in-home intensive mental health services in Jackson County to youth and their families. The goal is to equip families with the skills to successfully cope with the social and behavioral challenges they are experiencing, thereby preventing out of home youth placement or more restrictive interventions..
Our overall philosophy is based on the value of preserving individual and family integrity. We encourage families to build on their existing strengths and empower them to identify and implement solutions to their identified challenges. Ultimately, we strive to provide an individualized response to meet the needs of youth in our care within the least-restrictive setting possible. The basic goal of the Family Solutions Home-Based Family Services Program is to strengthen the family system within the family’s natural environment. Participating families will be already have some previous experience with Mental Health Services and Supports. Family Solutions Therapists and Treatment Specialists work with the family to provide the intensive services indicated on their agreed upon Services and Supports plan. The Child and Family Treatment team fosters a mutually respectful working partnership with the family and collaborates with all involved Community Partners to ensure successful services outcomes. Using a strengths-based model, the clinical staff builds on the positive family elements while working through a culturally competent and trauma-informed perspective to help the entire family recognize areas where change or new skills are required. Family Solutions staff encourages each family to draw on its already existing wisdom. The Home-Based Family Services Program is licensed to provide mental health services to youth and adolescents ages 4–18. Evidence the youth and family are able to commit to the level of service intensity recommended, including in-home appointments. 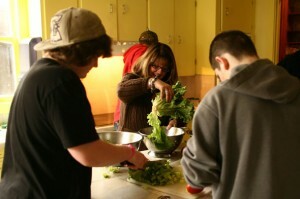 The youth served in this program need to be enrolled in the Oregon Health Plan. This program serves youth and families from Jackson County. The program operates on a year-round schedule. Our office is open Monday through Friday from 8:00 am to 5:00 pm. Staff in this program work flexible schedules to accommodate the families we serve, including evenings or weekends as needed. Options of Southern Oregon refers all clients to the Home Based Family Services program and we are able to accept other OHP authorizations.